The Singapore Government has recently accepted the National Wages Council (NWC)’s 2012/2013 recommendations for built-in wage increases, particularly for low-wage workers. In a bid to redistribute a fair share of the company’s productivity gains to workers, NWC has proposed that employers inject a S$50 wage increment for employees earning up to S$1,000. 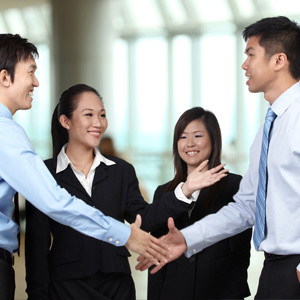 Singapore companies that are faring well are encouraged to contribute a higher wage increment. Singapore Company Registration specialist Rikvin supports the move and is optimistic that the wage increase will not hurt small businesses that are concerned with losing business when they push higher costs to the consumer. Rikvin advises small businesses to tap the PIC Scheme Guide to cope with a new demand of a future-ready workforce and more value-added business activities. According to Rikvin’s PIC Claims Chart, Singapore firms that plan their productivity and innovation strategies ahead of time are in good stead to reap up to S$9.6 million worth in tax savings. This is possible as they can estimate their taxable income and make provisions for investments in qualifying activities at the time of annual budgeting. “More importantly, when Singapore firms tap the PIC Scheme, they will have no excuse not to have their cake and eat it too. Not only can they train their employees to become more productive and value-added workers and at little cost to themselves; they can also engage in a variety of activities to operate their businesses in more efficient and smarter ways. It remains to be seen whether more small companies will take on this challenge to change their mode of thought and reflect on their contribution to building a more inclusive society. However, we are optimistic that companies that do take this road will be rewarded,” affirmed Mr. Bakhda.